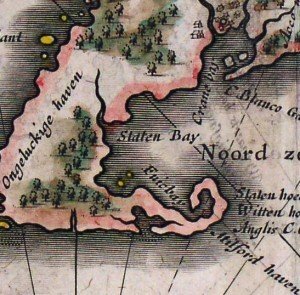 Is this antique map or antique print real? First, a definition: For the purpose of this article I use “old” and “antique” interchangeably to refer to any map more than 100 years old. Legitimate modern reproductions and facsimiles of old maps are quite common, but are also easy to recognize: Somewhere on the printed image, usually below the border, you will probably find a statement in a modern typeface such as “Reproduced by [such-and-such publishing co.],” followed by a 20th- or 21st-century date. Fortunately, it is difficult and time consuming to forge an old map, particularly one printed before the early 1800s. Convincing fakes are few and far between, and you are unlikely to encounter one if buying from a reputable source. 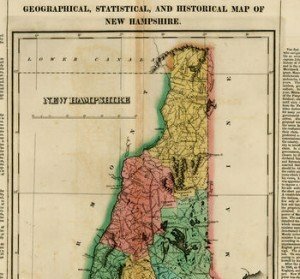 That said, new map collectors–or anyone thinking about selling an old map in their possession–should take the time to learn a few basic questions that will help a high percentage of reproductions. To that end this article reviews a number of simple tests that can help you assess the authenticity of a map. One caveat: few of these tests are on their own conclusive. The process usually involves accumulating a number of pieces of evidence which, when assembled, provide very strong evidence for or against a map’s antiquity and authenticity. Antique maps were printed by a variety of methods, each of which leaves telltale signs. Whatever the printing process, however, these maps have certain characteristics in common. Most old paper looks old. To begin with, there is usually some toning (faint browning) to the paper, particularly at the edges. Further, there is almost always some wear, such as creases, tears or holes; soiling, such as finger smudges at the lower corners; or rust-colored spots known as “foxing.” That said, presence or absence of such features is suggestive rather than conclusive: aging can be faked, while a small percentage of genuine maps do show up on the market in pristine condition. 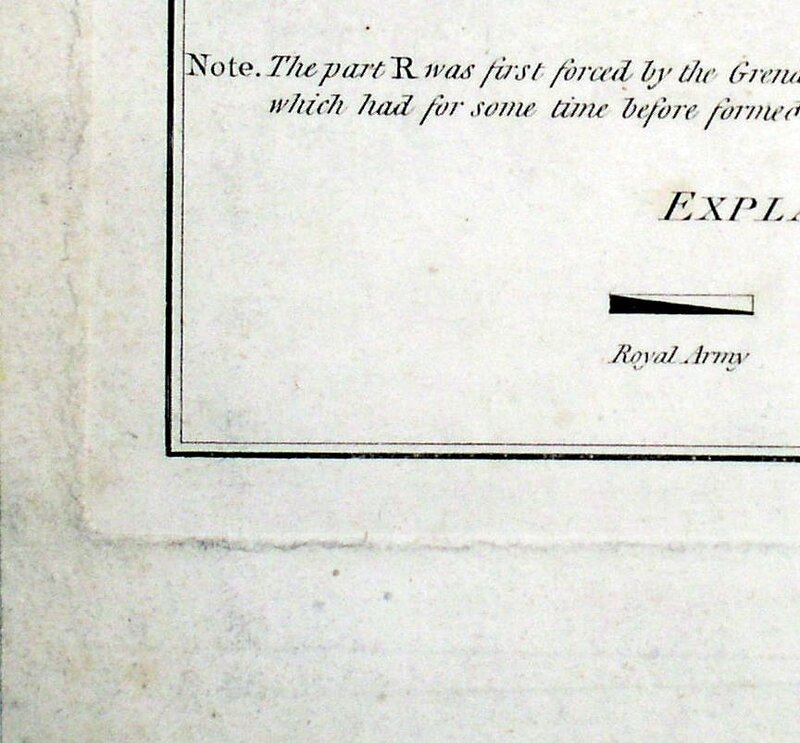 For antique maps printed before 1775 or so, one conclusive test is the type of paper used. 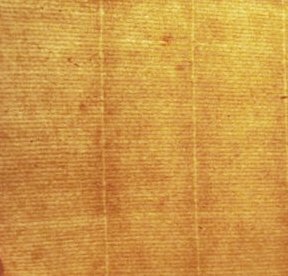 Before then printers used “laid” paper, made from a pulp of macerated cotton rags spread in a thin layer on a wire screen and allowed to dry. The wire screen imprints the paper with a distinct pattern of vertical lines (sometimes known as “chain lines”) spaced about an inch apart transected by a mesh of closely-spaced horizontal lines (fig. 1). Later “wove” papers are both smoother in feel and lack this line pattern. 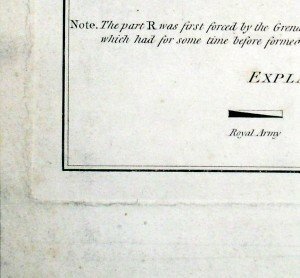 This provides a conclusive test: a map lacking chain lines is not on laid paper and could not have been printed before about 1775. The vast majority of old maps available on the market were at one point bound into atlases or other books, and will show traces of the binding process. The most common of these is one or more folds, introduced at the time of binding so the map would fit the publication, usually down the center of the map. Traces of a “binder’s stub” may also be visible. This was a thin strip of paper glued to the rear of a map and used as the point of binding. Even if the stub has been removed, a strip of faint browning from glue residue may be evident (fig. 2). Another common sign is a “notch” in the margin, which indicates where the map was trimmed to facilitate folding and binding. While presence of binding signs is reasonably good evidence for a map’s antiquity, the converse is not necessarily true. Some early maps were issued unbound (often referred to as “separately issued” or “broadside” format) and by their nature will lack such features. For anyone but the specialist a map’s coloring is rarely useful as evidence for or against antiquity. Many early maps were colored, but many were not; in fact, most maps were issued in both colored and uncolored versions. On the other hand, modern colorists are quite capable of coloring maps in a convincingly “antique” manner. The vast majority of old maps printed between roughly 1550 and 1825 were produced by engraving. In this process, an image is first inscribed into a copper plate using a sharp tool. The plate is inked and then wiped, leaving ink only in the inscribed areas. Finally, the image is printed using a powerful press to force the ink residue from the plate into a sheet of moistened paper. Note that other methods were also used to print early maps. In particular, many maps from before 1550 are woodcuts, while most maps from 1825-1900 are lithographs. Identifying the signs of these processes can be more challenging and will not be addressed here. 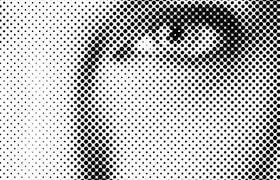 The engraved line appears solid when viewed under magnification, unlike modern “halftone” printing which creates arrays of tiny dots that appear solid when viewed unaided (fig. 3). Any map whose lines show this halftone pattern is absolutely a later production. There are two more subtle features of engraved lines. First, they often end in a very fine, sharp point; this is best seen in the tails of calligraphic lettering or in the parallel lines (“hatching”) used to demarcate coastlines (fig. 4). Second, they have a bold, three-dimensional appearance, particularly when viewed from an oblique angle or with a raking light. In fact they are three-dimensional; the press forces the paper into the engraved area of the plate, so that the inked areas of the paper are very slightly raised. By comparison other maps, especially lithographs and modern photo-reproductions, have a “flat” appearance. The pressure applied in printing leaves a depression on the paper matching the dimensions of the engraved plate. The plate mark, or the outer edge of this depression, is visible as a fine indentation just outside the neat line, the thin line that defines the border of most printed maps (fig. 5). If a map purporting to be an engraving has good margins but lacks a plate mark, it has either been trimmed and had new margins added or is not an engraving as is claimed. Plate marks can be faked, however, so the presence of one is not conclusive. One suspicious sign is a mark that is too “perfect” or prominent. True plate marks are usually subtle and not necessarily apparent at first glance. They also often have a small amount of smudging from residual ink. Another cause for concern is a mark that is too far from the neatline. Due to the expense of copper, engravers typically used plates that were just large enough to fit the map image. Most true plate marks, especially on 16th and 17th century maps, are half an inch or less from the neatline. Frames an essential role in making maps displayable and protecting them for posterity. That said, when a map is framed it can be extremely difficult to make the kinds of judgments described above. So, never, ever buy a framed map unless you have had an opportunity to inspect it out of the frame, and/or the seller is willing to provide a full money-back guarantee in the event the map turns out to be problematic. You can be confident purchasing from any reputable dealer specializing in old maps. They will have the experience and skills necessary to weed out fakes and reproductions, and should be willing to take the time to share their expertise with you. Further, in the extremely unlikely event there is a problem with a map you have purchased, they will prepared to accept a return at any time and provide a full refund. Over time, you will learn to “trust your gut:” If a map doesn’t look or feel “right,” just walk away … or at least ask a lot of questions. If after reading this article you think you have an old or antique map you would like to sell, read more on our “We Buy Maps” page or contact us directly.